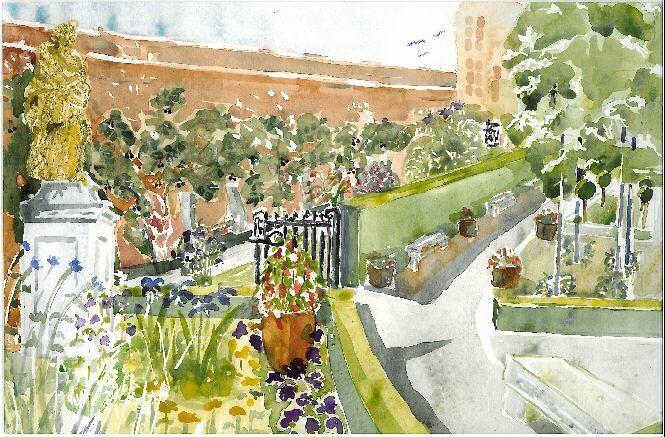 Jean Flack Munday made this watercolour painting of the Porter's Garden during 2008. Jean is a founder member of the Friends of the Porter's Garden and lives in Old Portsmouth. She has a web site www.jeanflackmunday.co.uk where some of her work may be seen.